Paul McGee is the creative force behind Lost Lake, which he opened in conjunction with Chicago's Land and Sea Dept. and tiki expert Martin Cate (Smuggler's Cove, Whitechapel). 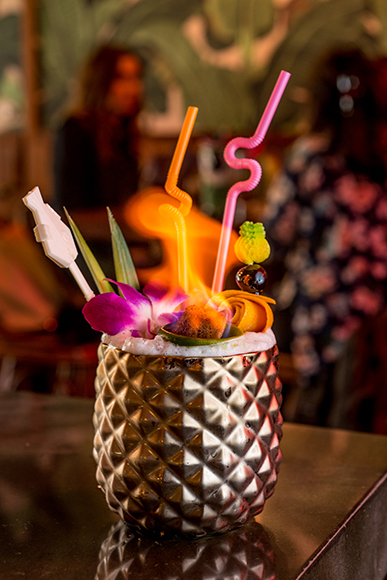 It wouldn't be a tiki bar without flaming drinks. 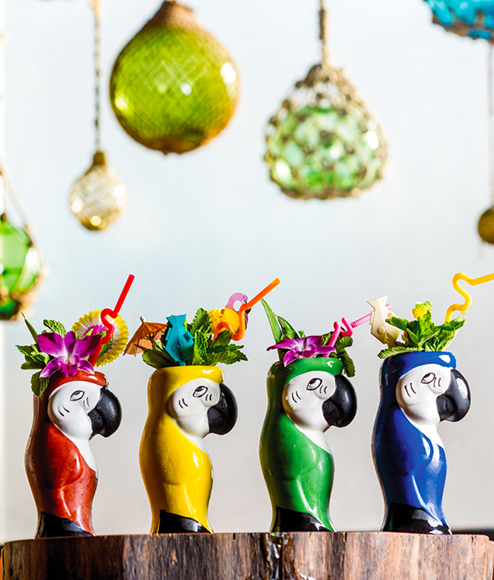 Tucked away in Chicago's bustling Logan Square, Lost Lake is a cozy oasis decorated with all the expected tiki accoutrements. 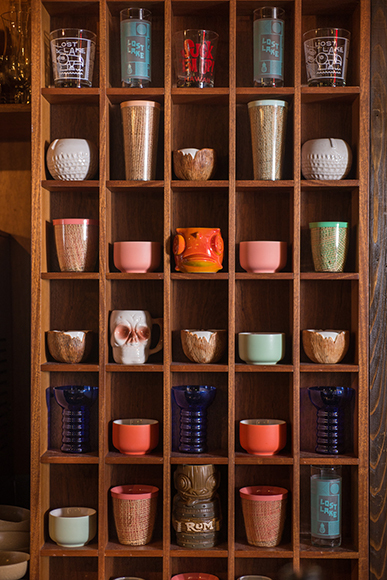 A peek at the bar's eclectic drinkware collection. 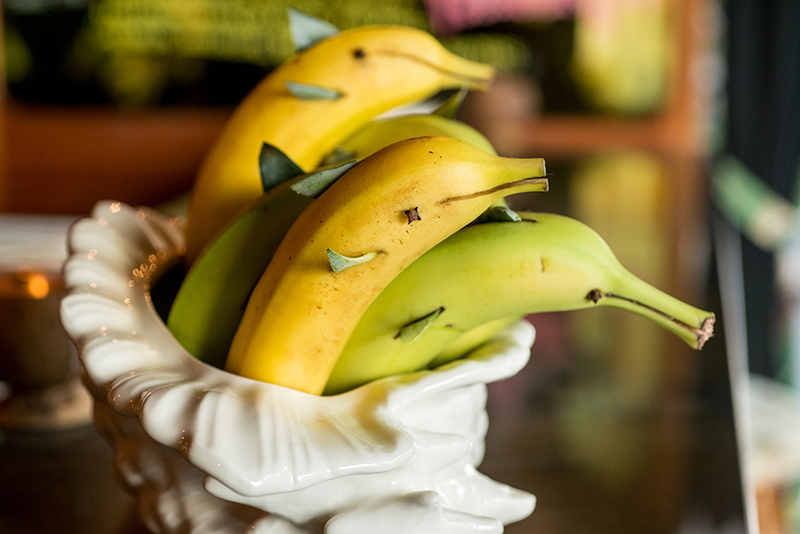 Cheeky banana dolphins garnish the Bunny's Banana Daiquiri, a blended mix of overproof Jamaican rum, overproof demerara rum, spiced rum, banana, coconut and lime. 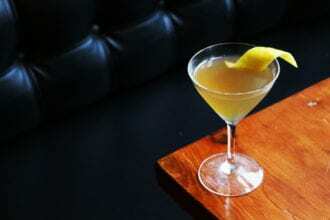 The Heaven is a Place/This is the Place cocktail combines gin, lime juice, Pierre Ferrand Dry Curacao, velvet falernum, honey syrup, allspice dram and Angostura bitters. 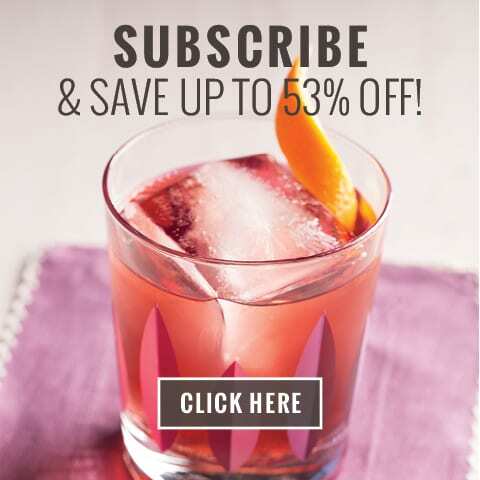 The bar's namesake cocktail combines aged rum, passion fruit syrup, lime juice, pineapple juice, maraschino liqueur and Campari. You might not notice Lost Lake upon first arrival at the barren corner of Kedzie and Diversey in Chicago’s Logan Square neighborhood, but behind the building’s stark exterior resides one of America’s best cocktail bars. 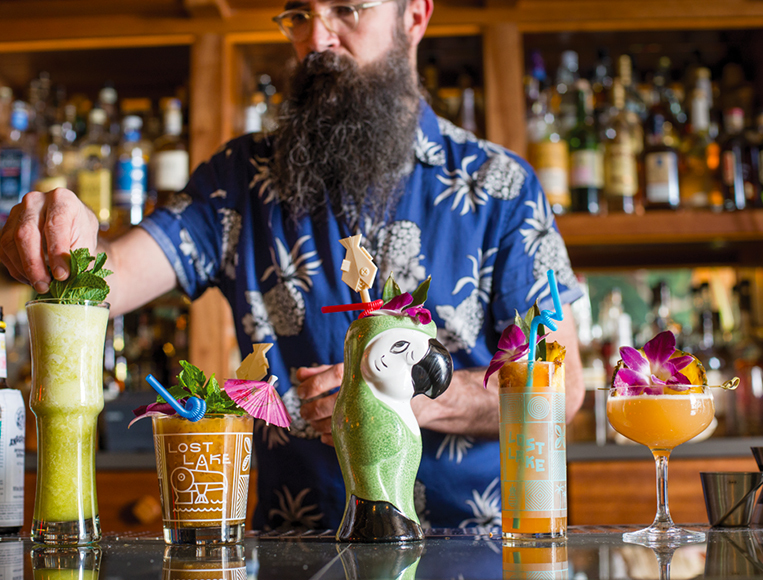 Lost Lake is a tiki bar, but thanks to the strengths of partners Martin Cate (Smuggler’s Cove, Whitechapel) and Paul McGee (Three Dots and a Dash, The Whistler)—who opened the bar with Land and Sea Dept.—it isn’t just about tiki drinks. 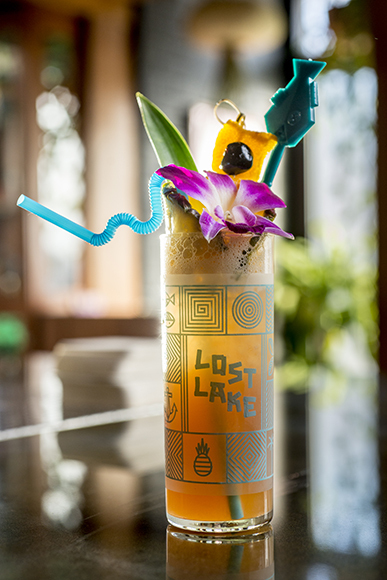 The Lost Lake experience combines the best in hospitality and drinks with fun and relaxing escapist vibes. 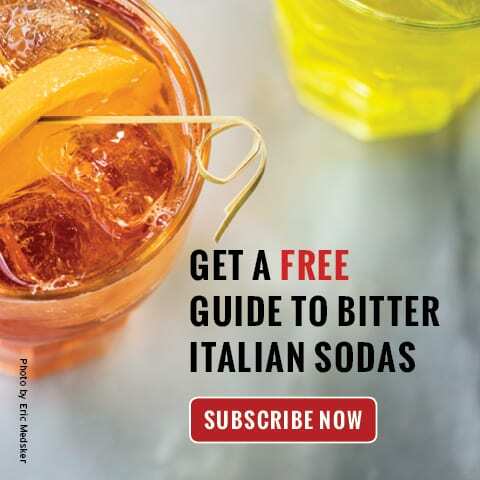 The menu has only changed once since the bar’s debut in early 2015, but with the release of the most recent compendium, McGee and his team hit their creative stride. 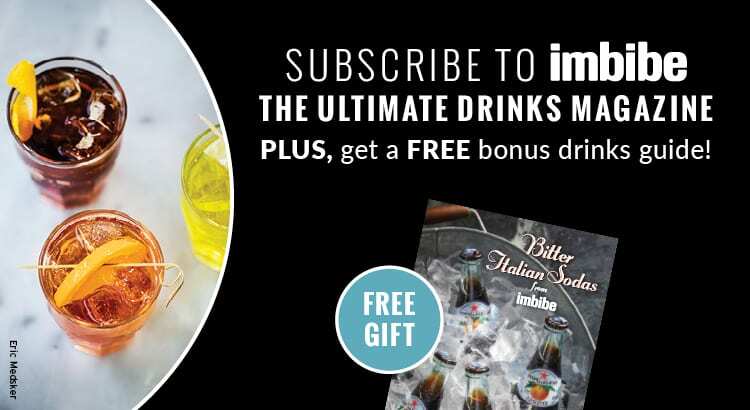 The mix of classics and modern drinks hold to the expected tropical framework, but many of the new recipes tip the scales of the genre, showcasing unexpected ingredients like sherry, whiskey, gin and agave spirits. 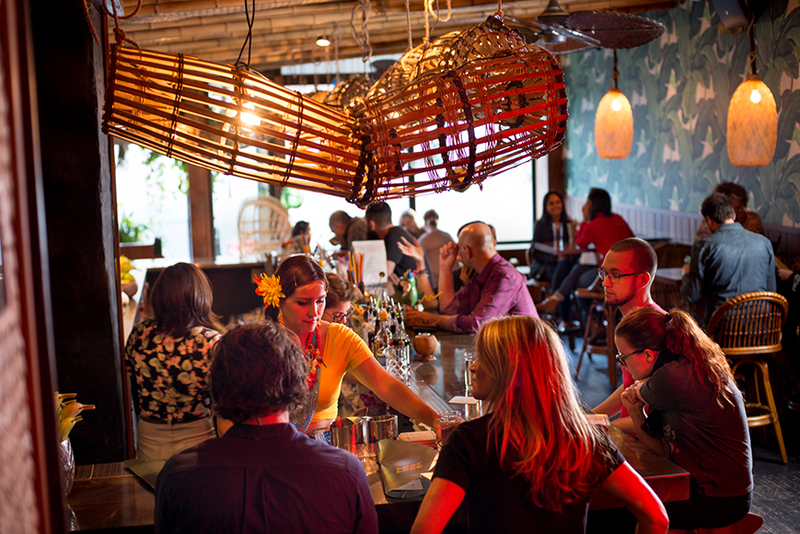 And while the drinks reign supreme, Lost Lake would largely be a pretty façade without its powerhouse staff. 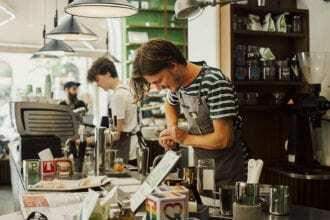 Most of the crew was trained by McGee at Three Dots, and they excel at mixing large-format “drinks to share” during peak hours. 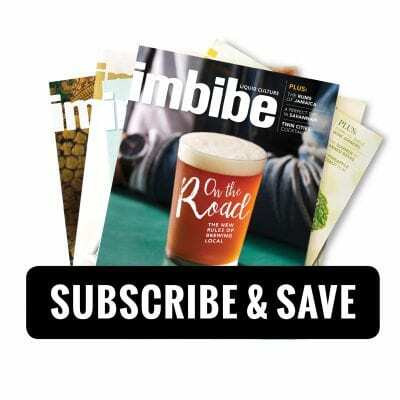 And for some the success of the bar is also a family affair—McGee’s wife Shelby Allison and her bartending brothers, John and Andy, all play a role in making sure Lost Lake remains one of the most hospitable, quality-driven bars in the country. 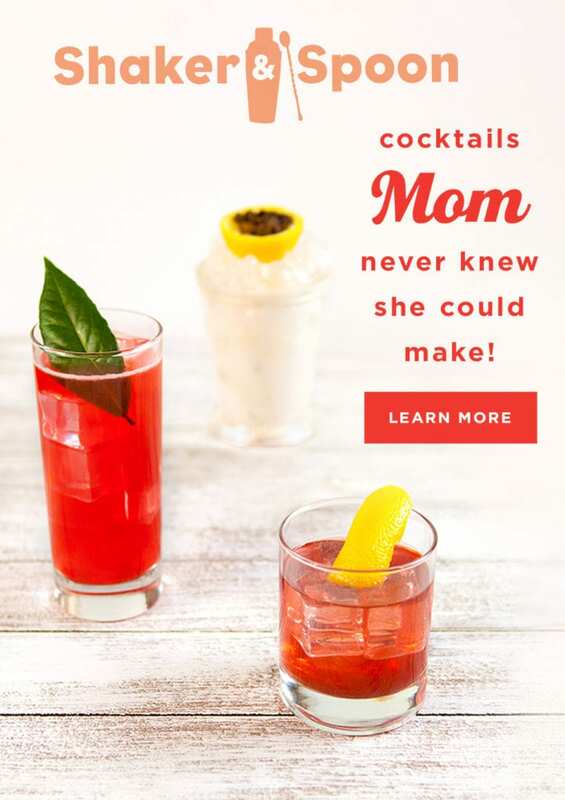 The new aperitivo from St. George Spirits was inspired by distiller Lance Winters’ memories of growing up in California in the ’70s.